Here in Tuscaloosa, we are patiently waiting for our first foodie grocery store like Whole Foods or Trader Joes. We have to travel to Birmingham for Whole Foods or Atlanta for Trader Joes. 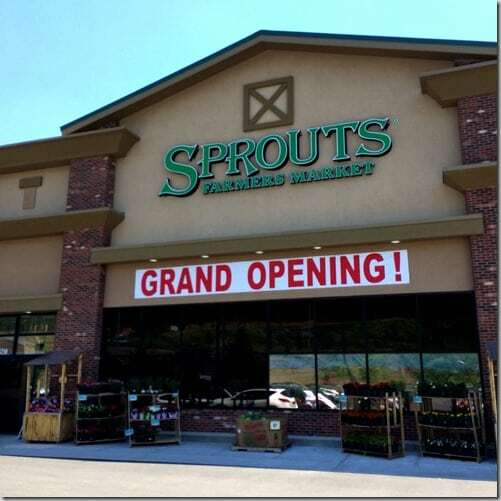 I have been hearing about a store called Sprouts but I am unfamiliar with what exactly it is. 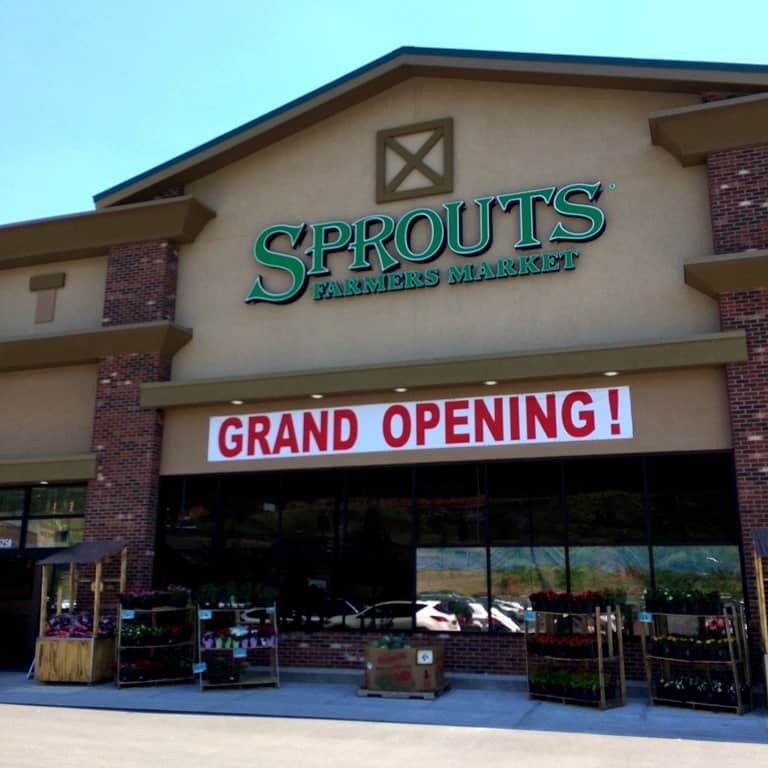 The official name is Sprouts Farmer’s Market. When I think of a farmer’s market, I think of a big space with stalls and trucks and chalkboard signs and the smell of watermelon and tomatoes. I do NOT think of a large box building. This past weekend, as I was flying down the interstate in Birmingham, my 4runner full with farmer’s market and Whole Foods bags, I saw this. I had passed the exit so I got off the next exit and backtracked. I had no idea what this was all about but I was going to find out. My first impression was the size. Half the store was open produce and quick shop deli items. The other half was meat and dairy, frozen, and a few cans/boxes/vitamins/ aisles. The next thing I noticed—prices. This store rivals my local Publix for basic produce. 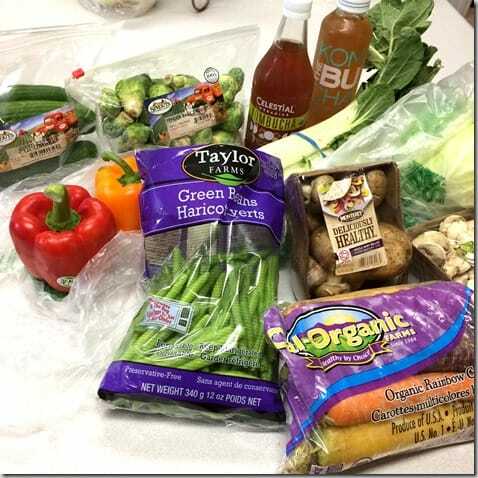 I was shocked at how many produce items are cheaper than current sales at Publix. I loaded up on produce, new kombucha selctions, and 1 carton of Talenti gelato—which is not pictured because it was quite tasty on the hour drive back home. Rainbow carrots and bok choy! I bought some baby bok choy at the farmer’s market so now I had a little more for my stir fry and it was cheap! This will not be my last stop at sprouts. Because it is so easily accessible from the interstate, I will enjoy many more visits. Thanks, Sprouts! Previous Post: « Paleo f(x) is HERE! !